Defending champions Skegness Town were knocked out of the Mason Bros Lincolnshire Junior Cup following a 2-1 defeat at Appleby Frodingham. However, the match was overshadowed by Lilywhites’ Jake Gibson suffering a broken leg. Town took the lead through the lively Jordan Smith, but a series of wasted chances in the opening 45 minutes would come back to haunt Nick Chapman’s side. 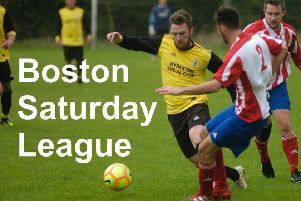 The Central Midlands League outfit netted twice in the second half to turn the contest on its head. Stuart Longbone levelled on 66 minutes and Matthew Oates made sure of the victory six minutes later. Gibson was taken to hospital with what was later confirmed as a broken leg. The Town twitter account thanked their hosts for their help and concern with the player’s injury. Appleby will now travel to Moulton Harrox in the quarter-finals. Spilsby Town’s interest in the competition also came to an end following their 3-0 defeat to Lincoln Moorlands Railway. Their opponents have been drawn against Lincs League side Sleaford Sports Amateurs. Town are without a fixture this weekend, although there will be action at the Vertigo Stadium. The Lincolnshire Football League representative side will host Staffordshire County Senior League, at the Vertigo Stadium on Saturday (KO 3pm). The squad will include Lilywhites Travis Portas, George Hobbins, Jordan Smith and Luke Rayner-Mistry.